Download a PDF of the lunch menu here . 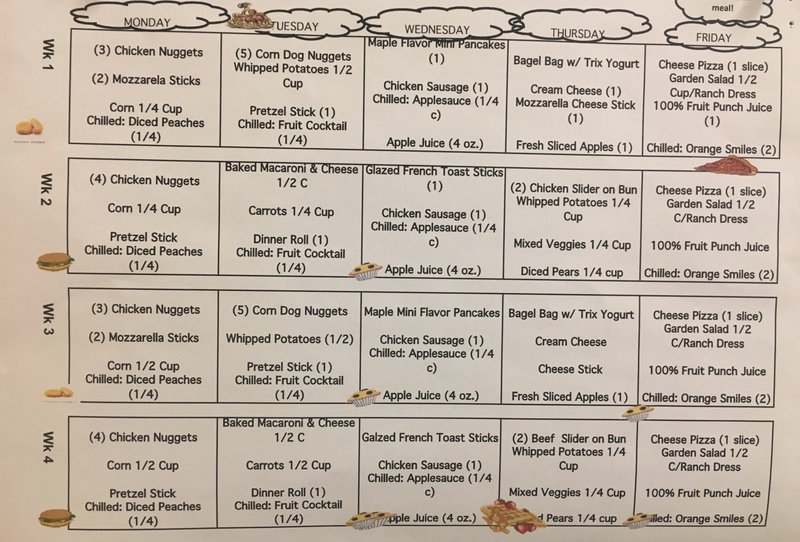 More information about Lunch and Snack service can be found on the district website HERE . Payment accounts can be set up at MyPaymentPlus HERE .